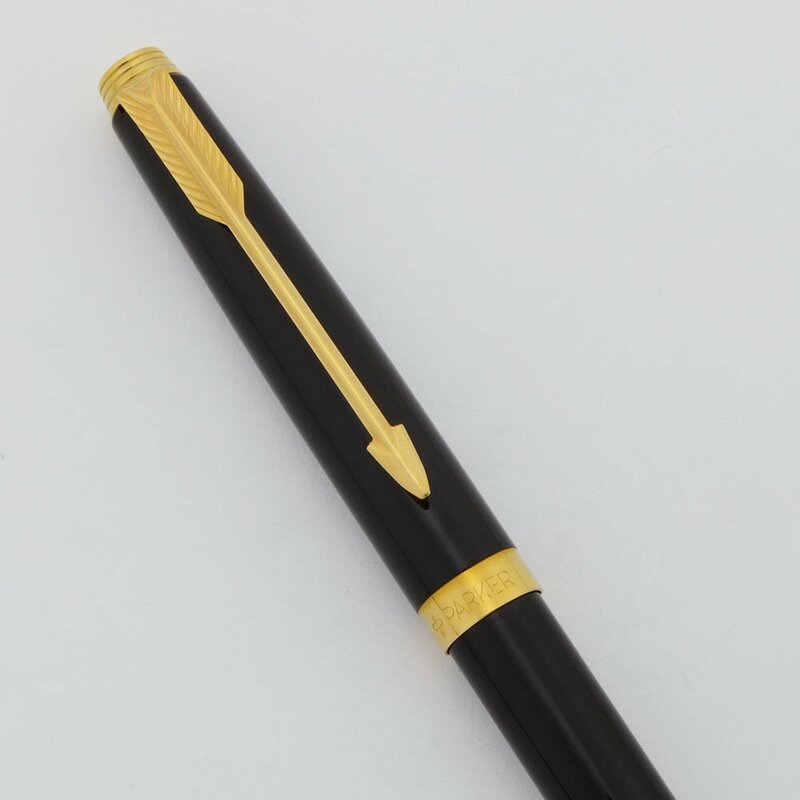 Parker 75 ballpoint pen in the in black with gold trim. 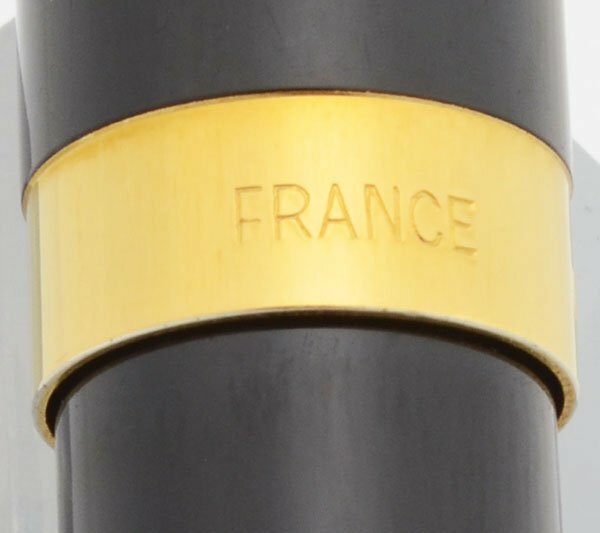 French-made in 1989. It is in excellent + condition. Filling System It takes Parker-style ballpoint refills. A working black refill is installed. The entire cap acts as a button to extend and retract the tip. Color Black with gold plated trim. It has a dimpled tassie. Condition Excellent + condition. This is a slim, elegant and shiny pen. The pen has only some microscratching. The clip and tassie are beautiful. The cap band has a small amount of plating wear at the top of the band. No cracks, chips, dents, or major scratches. Imprints are clear. The pen is working well.